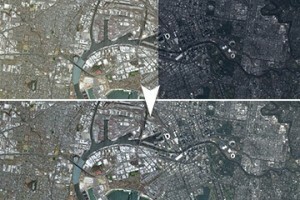 Harmonize color or radiometry of satellite and aerial imagery. 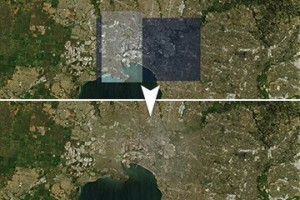 Designed to process very large scaled imagery database. PixelBlender is the ideal technology to get consistent imagery covers. PixelBlender is a high performance C++ SDK designed to harmonize geo-referenced imagery. It works with simple imagery datasets as well as massive imagery database. PixelBlender is the perfect tool to include within your ortho toolchain. PixelBlender harmonize several images by computing a global model for each image. This model can be applied to the images afterward, regardless of the images resolution. PixelBlender offer you to compute global corrections towards a reference imagery. 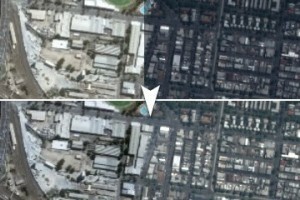 This is perfect to integrate high resolution imagery into a global database. PixelBlender blends image borders with state-of-the-art algorithms to provide seamless results.